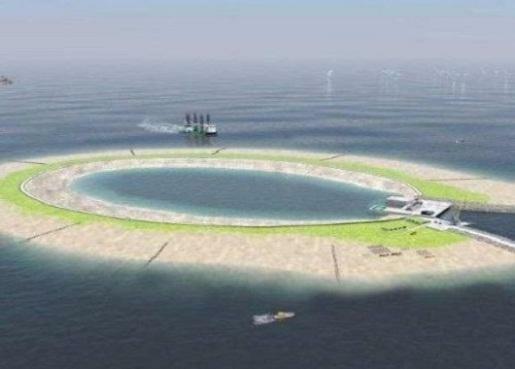 HOME » Breaking Island News » Europe: Could This Artificial Island Help Boost Wind Energy? The choppy waters of the North Sea have no small abundance of blowing gales – could there be a more perfect place for a wind energy project? 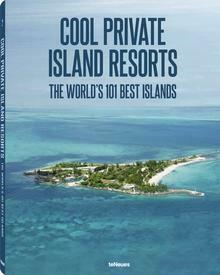 A Belgian cabinet minister, Johan Vande Lanotte, caused a stir recently when he introduced a proposal to build an entire man-made atoll that would serve as a storage facility for sustainable wind energy. After the Japanese Fukushima Daiichi nuclear power plant disaster in 2011, Europe has been searching for ways to reduce its dependency on nuclear power. In response to waves of public protests, Germany led the way by closing numerous aging plants and a commitment to completely abandon nuclear power by 2022. Other European countries have followed suit – but finding a reliable energy source to replace it has been a challenge. Wind power is at the top of the list for a sustainable method of generating electricity, and as technology has improved, its use in the EU has gradually become more widespread – currently, operating wind power facilities generate enough energy to provide 6.3% of its electricity usage. 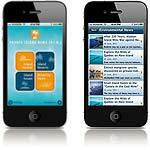 The primary issue, however, is the difficulty in storing that energy for future needs. 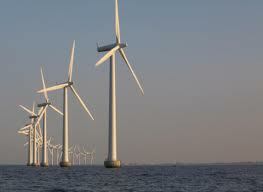 This is where Mr. Vande Lanotte’s North Sea atoll could be a game-changer for wind power. The proposal is to construct a large, 2.4 km-wide “energy island” a few kilometres offshore of wind farm, to store and meter out the turbines’ kilowatt output. The method of storage would involve pumping sea water into a reservoir in times of low electricity consumption, such as at night, and then releasing the water when more energy is needed on the electrical grid. Once released, the water would turn a generator – merging old and new technologies, the island would use the same method of producing electricity that has been used since the late 19th century. As a uniquely cost-effective solution compared to other storage methods like batteries, the plan has attracted significant interest. This system could be the key to making wind energy practical, and capable of providing on-demand energy that works with the existing power grids. The development would not be funded by the Belgian government, however, so private industry is essential to getting the project off the ground. The stakes are high, but if successful, “energy atolls” could become a big part of a cleaner energy future for Europe – and the rest of the world.